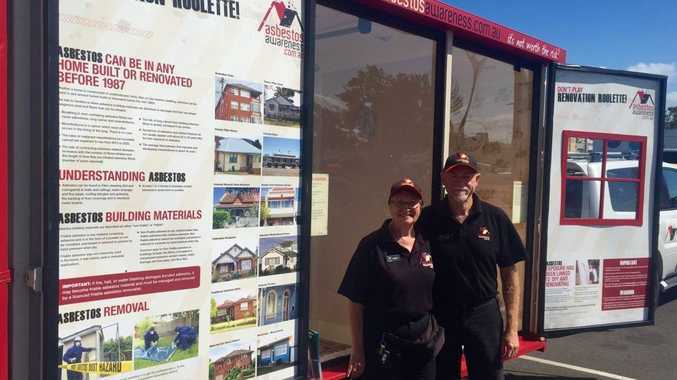 RENOVATION ROULETTE: Volunteers Geoff and Karen Wicks warn people about the dangers of asbestos and to watch out when renovating a home. LIVING on the Fraser Coast means you have a higher chance of coming across asbestos. Asbestos was often used when building coastal homes in the 1960s and now Geoff and Karen Wicks from the government-run Asbestos Awareness campaign have visited Maryborough to inform homeowners how to deal with the dangerous material. 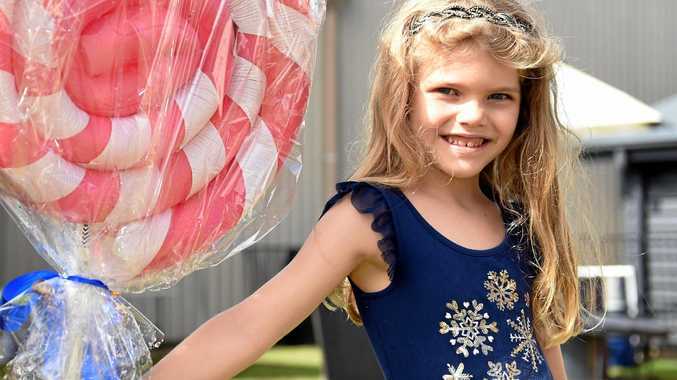 The duo have travelled all across Queensland this year for their cause but Geoff said visiting coastal places such as the Fraser Coast was especially important, because of the high amount of asbestos found in houses close to the ocean. "Coastal towns have a lot of asbestos problems because it's impervious to salt," Geoff said. "A man who spoke to us before said after a big storm one year asbestos was exposed near his house, and a lot of people say similar things." This year's campaign is focused on people who are renovating their homes, and may not be aware of the dangers lurking within their walls. "Asbestos is safe when it's not exposed and untouched," Karen said. "But once it's disrupted and the fibres get into the air, if people breathe it in it can lead to a number of different diseases." Anyone thinking about renovating can contact the Fraser Coast Regional Council for advice on possible locations of asbestos material in a home and how to handle asbestos during the building phase and disposal. In the past year, the Fraser Coast Regional Council has conducted one inspection for asbestos contamination when material was exposed by erosion on a Hervey Bay beach. The material was tested and found not to contain asbestos.